In a refreshing change from the recent deluge of watches inspired by vintage styles, Jaeger-LeCoultre and Parmigiani Fleurier are heading back to the 17th century for inspiration. They are among the very few brands today who are reviving the art of miniature painting, a process by which a full-scale work of art is re-created on a watch dial using enamel paints. Miniaturization—an exercise in art imitating art — flourished in Geneva in the 17th and 18th centuries. It's a painstaking process that requires each color to be fired separately. Enameled pocket watches from the period, often painted with classical scenes or landscapes, are highly coveted among collectors. This is not the first time these two brands have re-created paintings on their iconic models. Jaeger-LeCoultre has created special-edition Reversos featuring works by Georges Seurat, Xu Beihong, and Katsushika Hokusai. Previously, Parmigiani Fleurier collaborated with Paris-based graffiti artist André Saraiva in 2015 to create a special-edition Tonda Collection with "Paris," "Love," and "New York" on the dial. In its latest artist-inspired timepieces, Jaeger-LeCoultre's modern version of miniaturization is faithful to the original aesthetic, re-creating three landscape paintings by 20th-century artist Ferdinand Hodler, while Parmigiani Fleurier showcases the work of contemporary artist Marcello Lo Giudice. 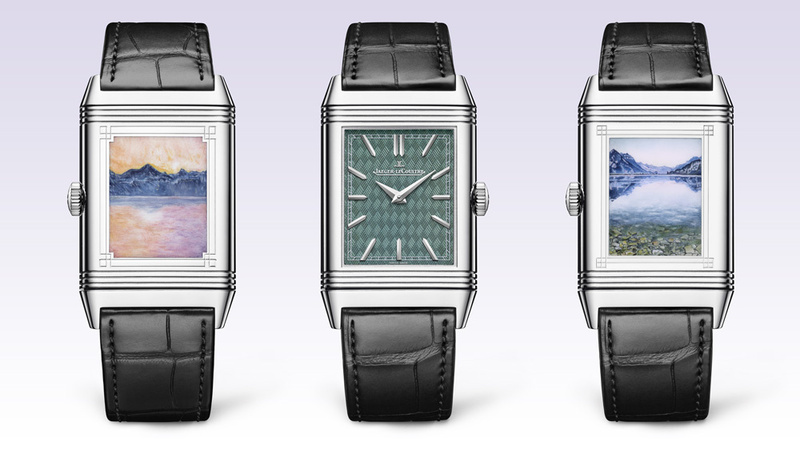 Jaeger-LeCoultres Reverso Tribute Enamel series showcases the work of Ferdinand Hodler, the J.M.W. Turner of Switzerland, whose landscapes evoke the mountains and lakes of the Vallée de Joux, where Jaeger-LeCoultre is based. Re-creating Hodlers sweeping vistas onto a 45.5 mm x 27.4 mm canvas was a challenge for the company’s enamel artisans. Each dial took more than 50 hours to create. The paintings reproduced in the limited series include Lake Geneva with Mont Blanc in the Morning Light (1918), Lake Thun with Symmetric Reflections Before Sunrise (1904), and Lake Thun, Symmetric Reflection (1909). This year marks the 100th anniversary of Hodler's death. Time is read on the reverse side of the swiveling case on a dial finished in grand feu enamel over guilloched gold. Eight pieces of each of the three editions (price upon request) will be made. 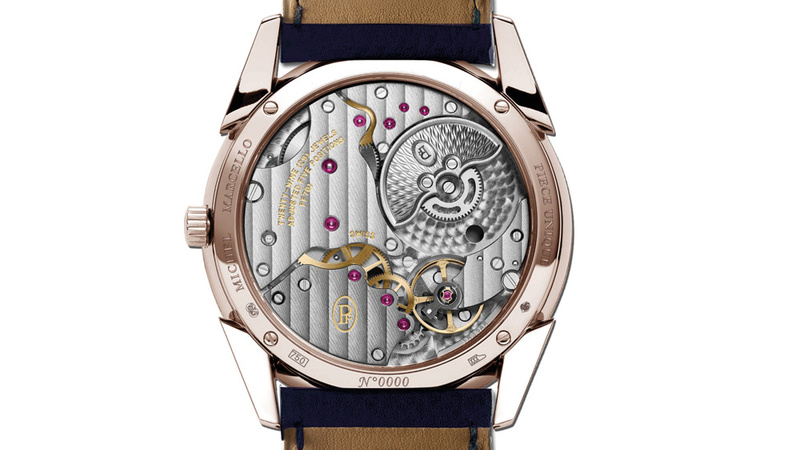 The case is 18-karat white gold, and the movement is the manually wound Caliber 822A/2. Parmigiani Fleurier added a modern twist to the technique of miniature painting, not only by using the work of a contemporary artist but also by applying his style of canvas preparation to the watch dial. The Tonda 1950 Marcello Lo Giudice is a 12-piece limited edition with a dial that reproduces portions of a painting called Eden Universe, Eden Ocean. 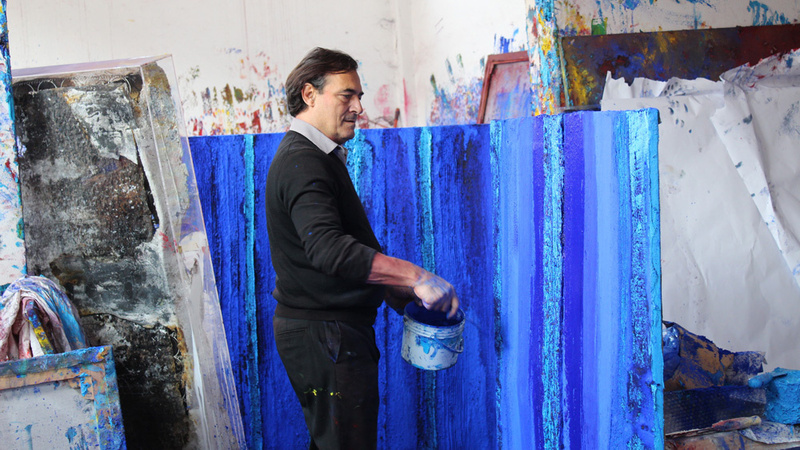 Lo Giudice's work is known for its thick layers of bold color, particularly vibrant blues, and infliction of abrasions, cracks and sedimentations to the canvas in order to build texture and volume. In keeping with this approach, Parmigiani Fleurier prepped the dials prior to painting by using a laser to trace the outline and create marks and raised areas to build volume. The leaf-shaped hands were made smaller than usual. The Tonda 1950 Marcello Lo Giudice was introduced last week at a private viewing of the Milanese artist's show at the Opera Gallery in New York, where he was on hand to answer questions and talk about his paintings. The first out of the 12 pieces was presented to Prince Albert II of Monaco, a friend of the artist, who also visited the exhibit. Number 12 was presented to Lo Giudice. "Each piece is unique because it represents different portions of the canvas of the artwork. 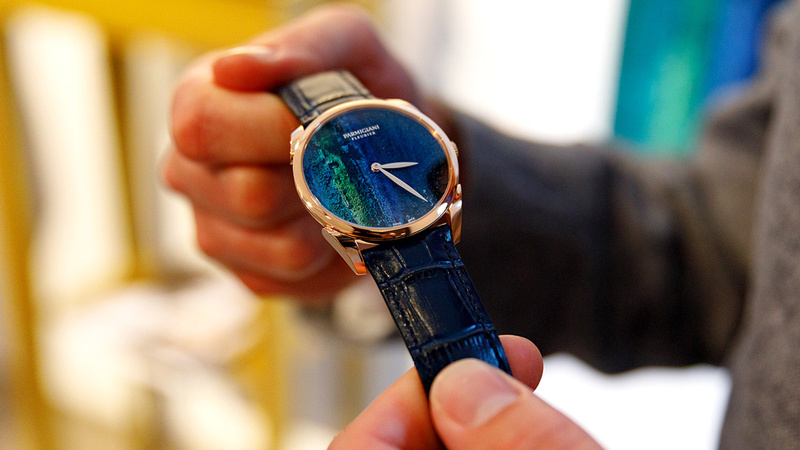 But the beauty of the piece is not just the painting but also the texture," said Ruggero Mango, Parmigiani Fleurier’s manager of the Americas. "First we digitized the texture in 3D printer on the dial, and then we used the same paint that the artist used to paint over it, so we are really re-creating his art on a microscopic level. But then you have the problem of the hands, the glass, and the caliber—this is an ultra-flat watch, so we have to make everything fit. It’s very difficult not to overdo it, because it’s the artistic concept against the precision of a watch."